Have you seen a mass of Pawikan eggs hatch? It’s a glimpse on the beauty and power of nature — tiny, fragile eggs embedded in the ocean; the sand slowly pulsing with life until little heads poke out, followed by a mass of wriggling bodies, slowly but surely climbing out the hole. Like magic, the tiny hatch-lings are lured by the ocean; a mass of tiny bodies, wriggling against the sand, beckoned by the waves until one-by-one they are reunited with the surging waves. In time and with God’s blessings, the once little hatch-lings will return to the same place where they were born. This time as adult pawikans, ready to do their share to continue the circle of life. But if not given enough protection or attention, the hatching of the young pawikans will be nothing but an entry in a book or in a blog or in a YouTube video amassing Likes in cyber space; never to be witnessed by the children of tomorrow. The Aboitiz Foundation, one of the country’s dynamic names in philanthropy is making sure that the Pawikans will continue to vast Philippine waters with the launch of a campaign that aims to raise funds for the protection and preservation of the critically endangered hawksbill turtle, locally known as pawikan. Situated in Punta Dumalag, Davao City is one of the last few remaining natural habitats for species of its kind, the result of Aboitiz Foundation’s continuing advocacy for the endangered variety . Entitled “#BetterWorld for the Pawikans”, the fundraising drive will not only secure the sanctuary for the hawksbill turtles but also spread greater public awareness on how everyone can help to ensure its survival amid climate change and environmental degradation. Punta Dumalag is a chosen breeding ground of the elusive pawikan turtles, as well the other 66 other species of trees, birds, and fishes. Aboitiz helps preserve this sanctuary through the Aboitiz Cleanergy Park, an eight-hectare outdoor biodiversity center that protects the pawikan while paving the way for a new model of urban-based habitat conservation and biodiversity management. “We want to include more people from all walks of life to share our advocacy for the pawikans. Their presence in Davao testifies to the rich biodiversity God has given our country. Building a BetterWorld for the pawikans is not just our responsibility but also our gift to the next generation,” said Erramon I. Aboitiz, President and Chief Executive Officer, Aboitiz Equity Ventures, Inc.
To date, the Aboitiz Cleanergy Park was able to release 1,876 hatchlings as of December 2015. These baby turtles are expected to go back to the same spot where they were hatched so they can lay eggs. This is the reason why it is important to preserve their natural habitat to increase the chances of reversing the decline of their species. 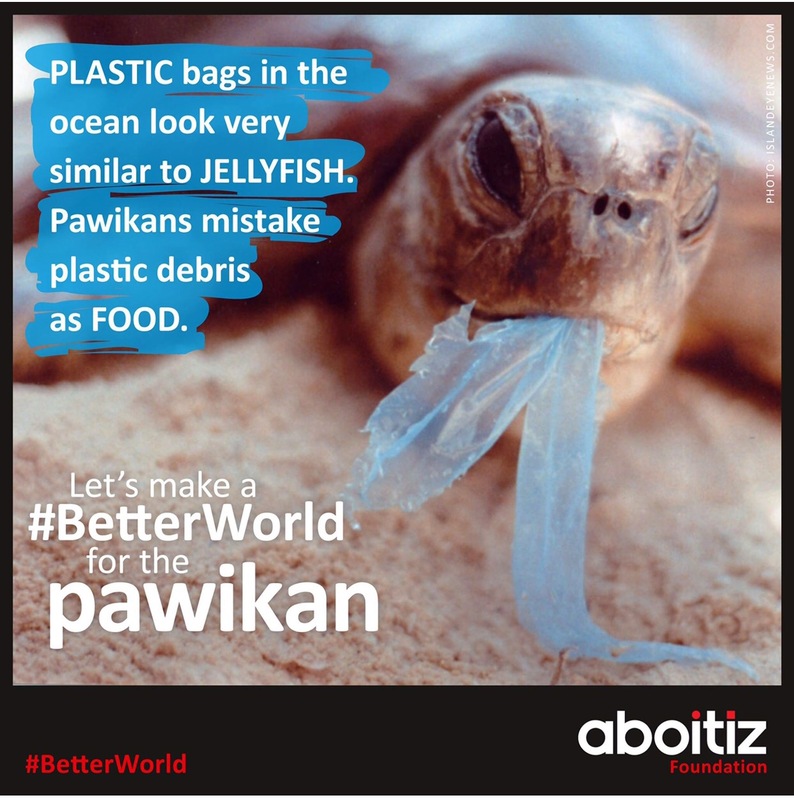 To take part in creating a BetterWorld for the pawikans, visit aboitizfoundation.org and click the ‘Donate’ button. Use #BetterWorld in your social media posts to show your support for the cause.